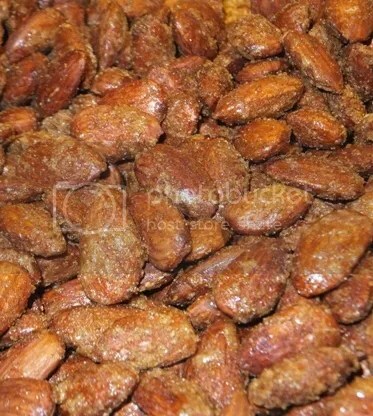 Sweet and Spicy Roasted Almonds!! During the holidays, I love to roast almonds. I usually make a savoury version, but this year I really wanted to try something sweeter. When I came across this recipe I knew I had to try it. I followed the recipe to a ‘T’ up until the spice choice. The recipe calls for Chili Powder, but I decided to use Cayenne Pepper instead. It turned out really good, with a bit of a kick, and was quick to prepare. I stirred it every 20mins for about 40-45mins, because in my oven, they were ready by then. For next time though, I’ll use both Chili powder and Cayenne Pepper, to see if it gives it an extra kick 😀 If you like the combo of sweet and spicy, I’d recommend you give this recipe a try! !